Join us this week as we welcome country pop music singer songwriter and actress, Olivia Faye. 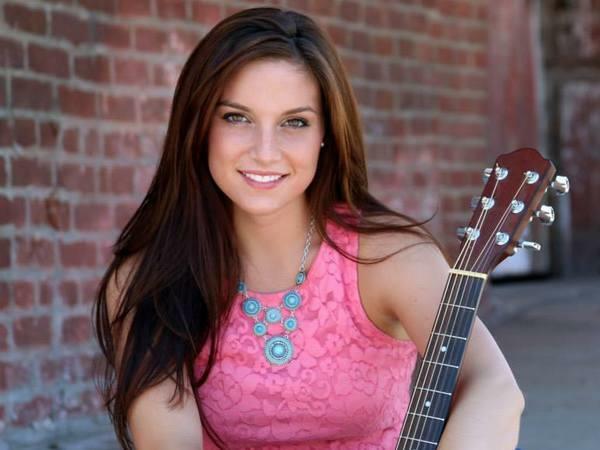 Hailing from from Murray, Ky., Olivia discovered her love for singing and performing country, blues and pop music at a young age, singing in church and school. She also became a regular performer in the Stars of Tomorrow cast at the Kentucky Opry in Draffenville, Kentucky. She has performed recently in Nashville, L.A. and Las Vegas at such famous venues as The Roxy on Sunset Boulevard, The Bluebird Cafe and VooDoo Room at The House of Blues and was recently the opening act for country singer Mark Chesnutt during his Fall concert tour in Kentucky. Olivia has also performed on a seven-city, five-state “No Bully Tour,” Also, she had a lead role in the feature film "Hello Herman" and additionally, wrote a lament style song entitled, “You Didn’t See Me” (aka, Herman’s Lament), about the main character. The song is featured on the soundtrack of the movie. Her song "Private Blue" from 2013 is dedicated to all our veterans who have served. We will talk to Olivia about her upcoming schedule, get a behind the scenes look at her music, feature her latest songs, and ask her to share her message for the troops. Please be sure to visit Olivia Faye at http://oliviafaye.com/ and spread the word. Fans are welcome to call in and speak live with with Olivia during the show (718) 766-4193 If you would like to participate in the live chat during the show, you must sign up on the show site first and then log in during the show. More great music for a really great cause! And as always we will give shout outs to our deployed military listeners. This is sure to be a terrific show so be sure to join us, Sunday 8/24/2014 at 4 PM EDT! Our message to the troops....WE do what we do, because YOU do what you do.